Overhead reassurance shield after the 337 split. 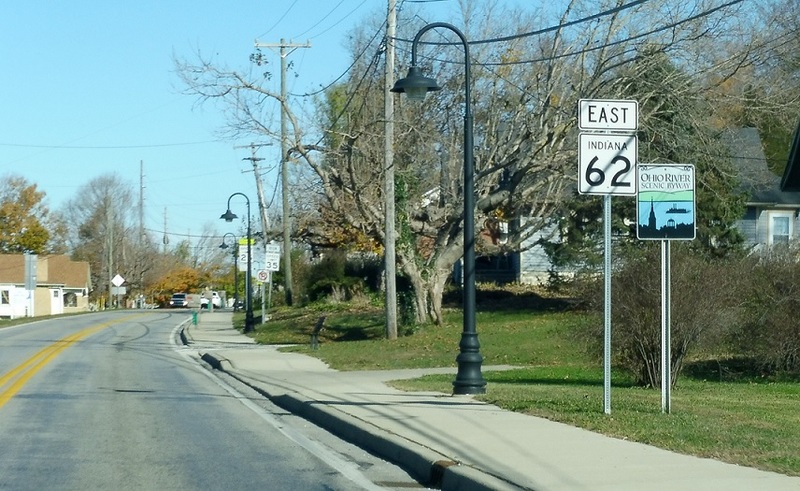 Reassurance shield as we head out of Corydon. 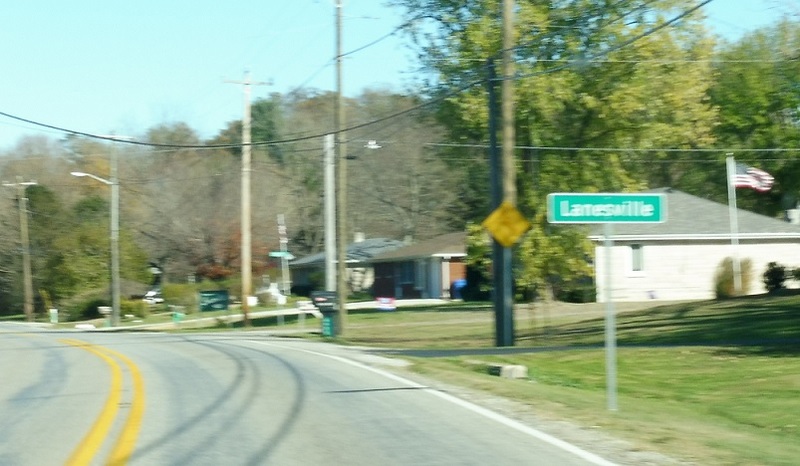 A few miles later, we’ll enter Lanesville. 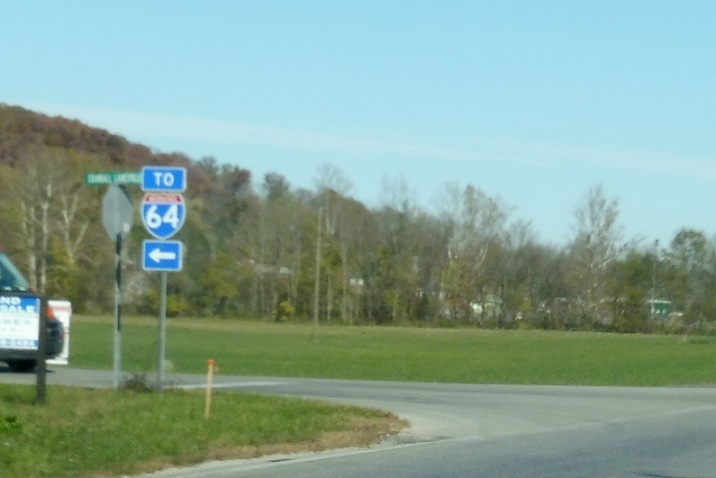 Follow Crandall-Lanesville Rd north to I-64. 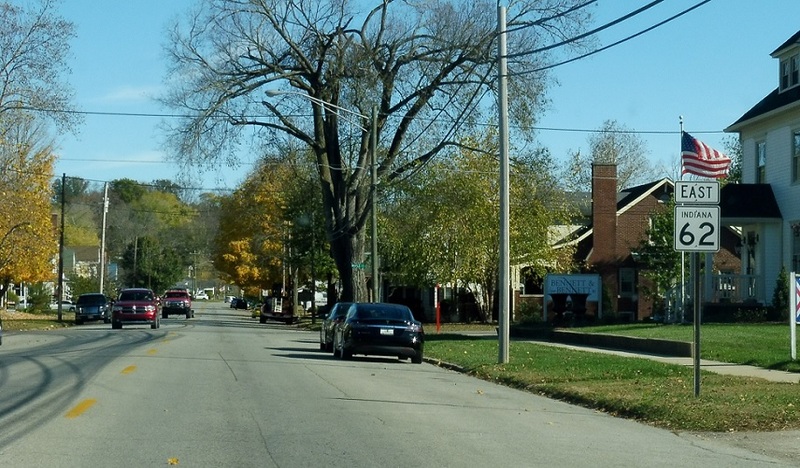 Reassurance shield in downtown Lanesville. 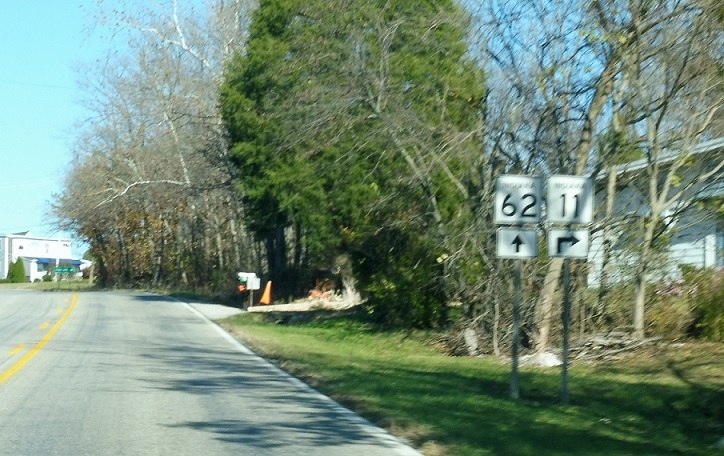 A few miles later, we’ll enter Floyd County and approach SR 11. 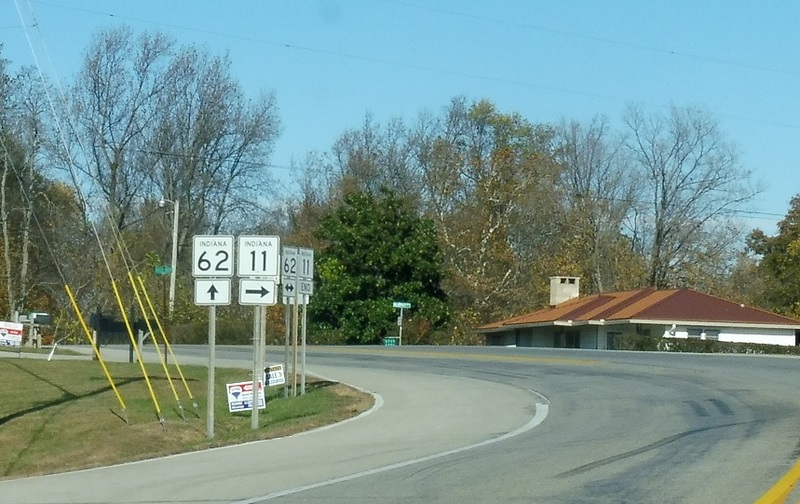 Turn right for 11 south at the intersection. 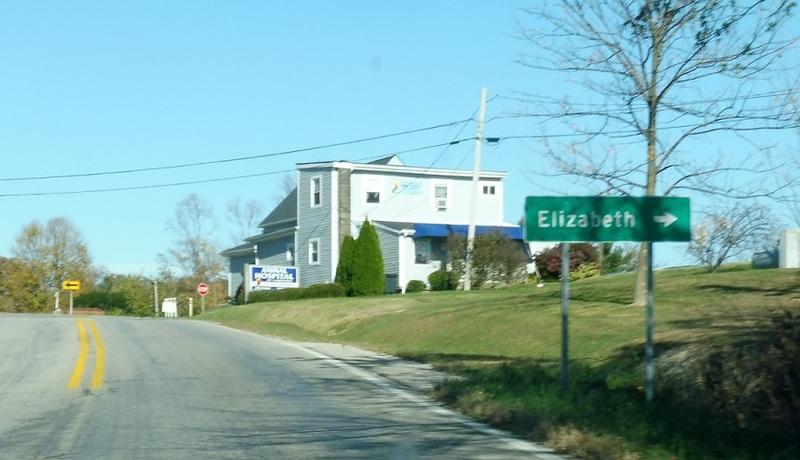 Follow 11 south to Elizabeth. 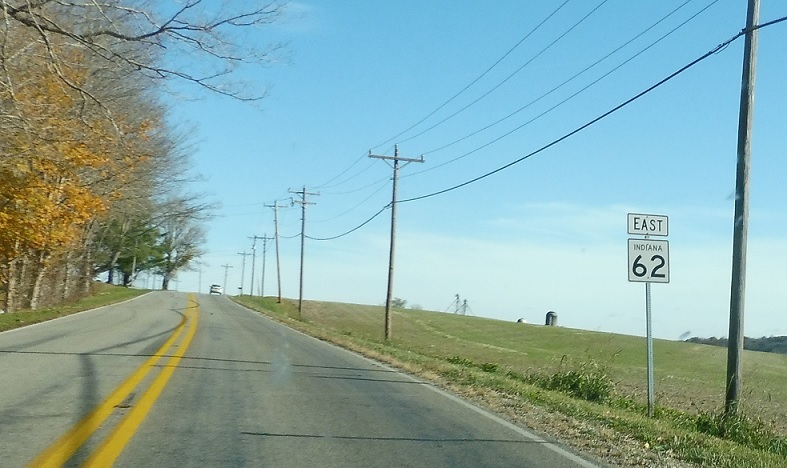 Turn right for 11 south. 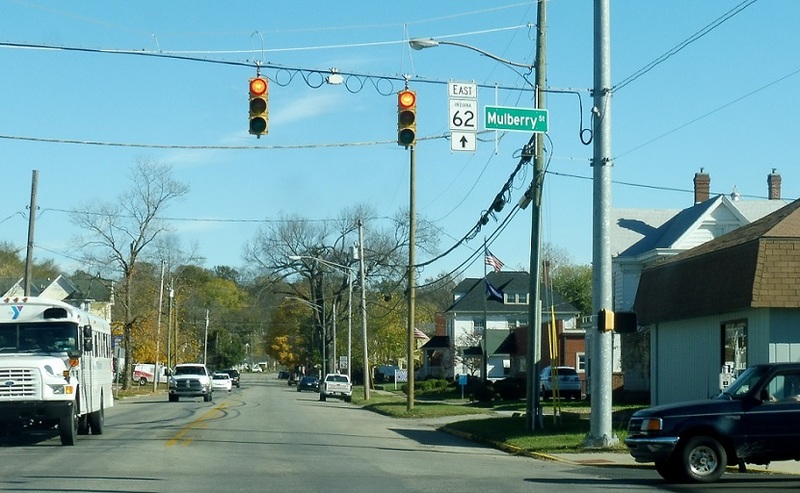 Stay straight/keep left for 62 east.